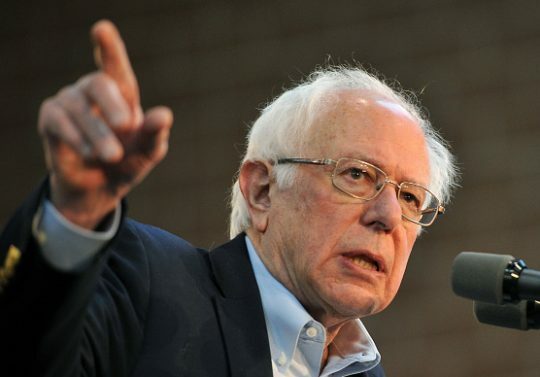 The newly announced speechwriter and senior adviser to Bernie Sanders's presidential campaign has advised him for months and attacked his Democratic primary opponents without disclosing his relationship to the Vermont senator. Left-wing journalist David Sirota has leveled harsh criticism at, among others, former Rep. Beto O'Rourke (D., Texas); Sens. Kamala Harris (D., Calif.), Cory Booker (D., N.J.), Michael Bennet (D., Colo.), and Kirsten Gillibrand (D., N.Y.); former Vice President Joe Biden; and former Colorado Gov. John Hickenlooper (D.), on Twitter and through his columns at the Guardian in recent months. All are running for president or strongly considering bids. After the Atlantic asked about his unpublicized role with the campaign, Sanders's team announced the hiring of both Sirota and the Intercept‘s Briahna Joy Gray, who will be national press secretary. Campaign manager Faiz Shakir told the Atlantic that Sirota had been "advising" for months before his March 11 hiring. Sirota reacted harshly to criticism of his writings on O'Rourke in January. "The screaming temper tantrums by Democratic Party operatives whenever reporters scrutinize a lawmaker’s voting record is something to behold. These people quite literally hate democracy," Sirota tweeted. The Texas Democrat joined the presidential field last week and managed to out-shine Sanders with a $6.1 million fundraising haul within 24 hours. Sirota also tweeted other critics were running a disinformation campaign about him, calling the critics "unhinged" and "deranged." Those tweets, along with 20,000 others, have been deleted from his account since the Atlantic inquired about his work for Sanders on Monday. Sirota claimed it was an "autodeleter that periodically and automatically deletes tweets:"
In one December column, Sirota wrote O'Rourke is "a new version of Barack Obama" but not in a good way: "Replicating an Obama presidency would be better than what we have now. But it would still be a tragedy." Of O'Rourke's presidential announcement, Sirota wrote "it was a whole lot of nothing." Although coverage of his Senate campaign against Sen. Ted Cruz (R., Texas) was overwhelmingly positive about his baldly liberal stances in a red state, since joining the crowded 2020 field, O'Rourke has been hit with criticism for being insufficiently progressive. He’s accused Harris of giving in to big donors and changing her stance on health care, and questioned how she will defend and define being "tough on crime." He responded to Booker getting into the race by reminding people of the New Jersey senator’s defense of Bain Capital, Mitt Romney’s former company, in 2012, and a 2017 vote favored by the pharmaceutical industry that has become a big target for Sanders and his supporters. Sanders took criticism in 2016 for the sharp rhetoric of his supporters—derisively called "Bernie Bros"—online against Hillary Clinton. He said in a February letter that he condemned bullying and harassment from his fans as he began his 2020 campaign, but he did not disclose Sirota's role for him at the time.